The offending badge. Don't touch it - it will come off in your hand! 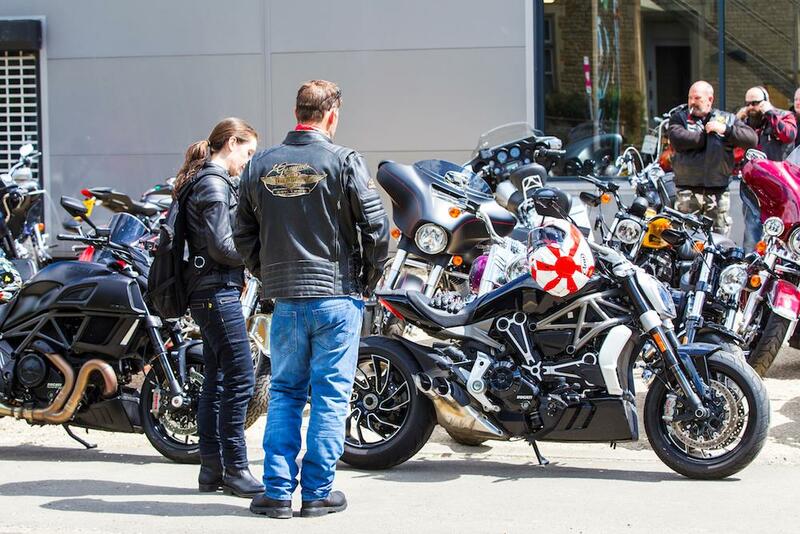 The XDiavel always attracts plenty of attention wherever it goes. Park up anywhere and appreciative eyes admire its muscular flanks and sawn-off tail. 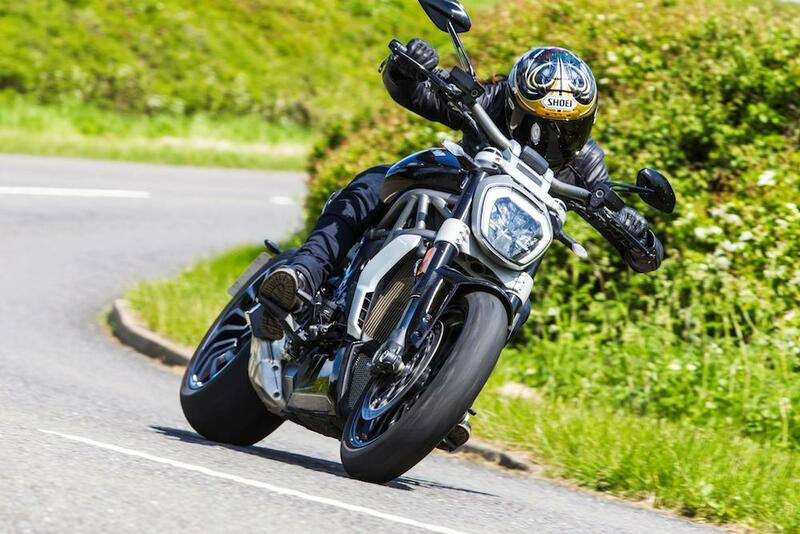 The XDiavel entices hands too – they stroke its gloss black tank with its matt central stripe, trace their fingers over the chrome detailing on its belt covers, and smooth the suede of the pillion pad. 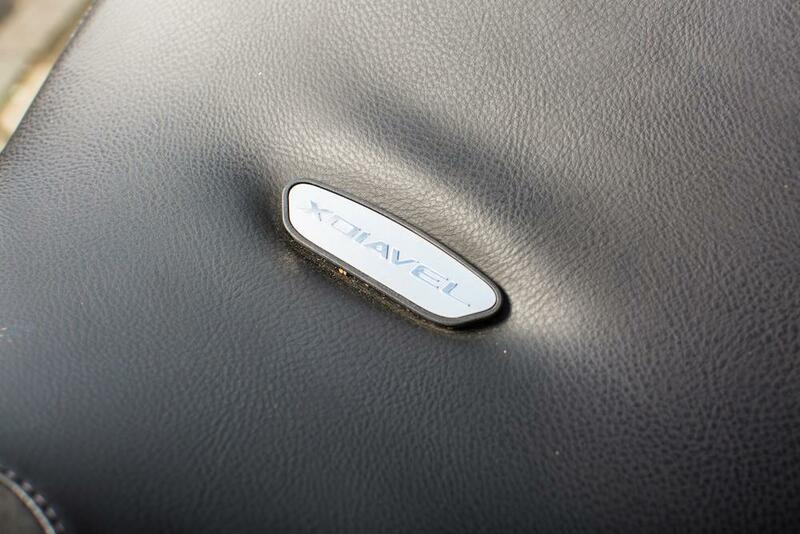 Then they come to the metal XDiavel badge in the middle of the seat. “Doesn’t this hurt to sit on,” is the invariable question as they give the badge a quick tug, which then comes straight off in their hand. Apologies and red faces are instantaneous but it happens every single time. In fact it’s amazing that I’ve not lost it before now by snagging it when getting on and off the bike. The rear of the badge has two posts which slot into the saddle’s leather cover, but they seem to rely upon an interference fit which has long since become a little too baggy to hold it in place securely. I’d hate to lose it, but there doesn’t seem any way of securing it better. “That’s a bit of a shame,” the admirers say once blushes have subsided, and they’d be right. Although you don’t feel the badge when you’re riding, you’d soon feel the loss of it if you were left with a bare space and two holes in the leather where it should be. Fortunately, the badge is available as a spare (£36), and as it shouldn’t be coming loose at all my friendly dealer Martin Bridgehouse at Ducati Manchester has replaced my faulty one under warranty. I’m still waiting for the part to arrive but hopefully it should restore my XDiavel S back to its full eye-catching and tactile best.